A PLACE WORSHIP - A pilgrimage is clear: this place is sacred. In a splendid setting accents new century, discover the quintessential Parisian brasserie. For novices, the "T" here refers to the former occupants, Thoumieux respectable family, restaurateurs since 1923. FACILITIES OF TALENT - At noon, several gourmet menus give soul to the lunch break. At night, everything is allowed to the card, notably with a wonderful three course dessert, including wine and aperitif Lillet. Pairing wine possible and advisable to sublimate strong frog legs or bone marrow. 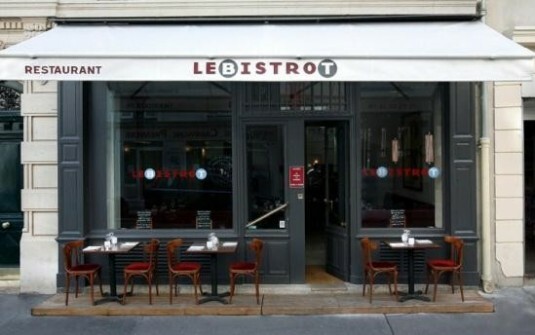 FRESH AND CREATIVE CUISINE - Small brother of "A-Bistrot gourmand" of the fifteenth arrondissement, Bistro T continues a quest for authenticity, this time in the district Raspail / Montparnasse.